Created without compromise, this premium Jay-Be folding bed encompasses all that is great about British design and engineering. 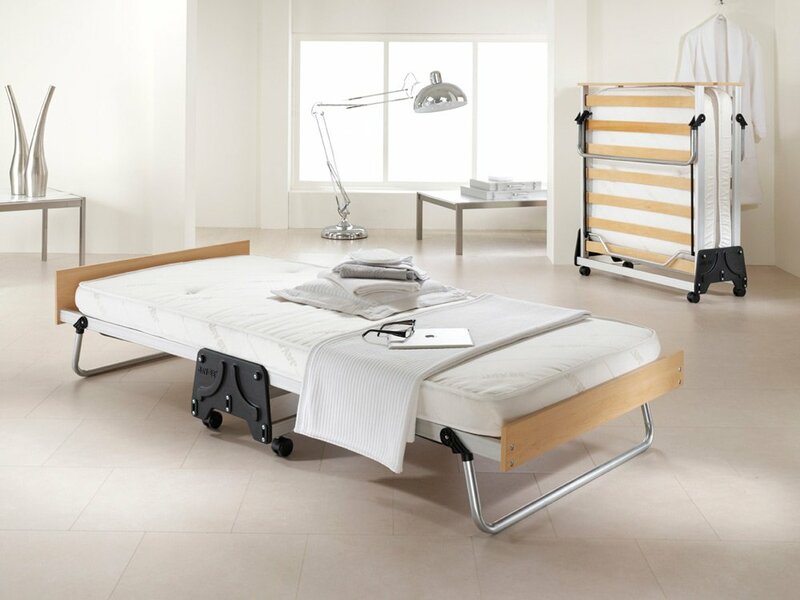 Made using the finest materials, the anodised aluminium frame is lightweight and rests on premium 360° castors which allow the bed to be easily manoeuvred. Precision injection moulded components compliment the stylish appearance. 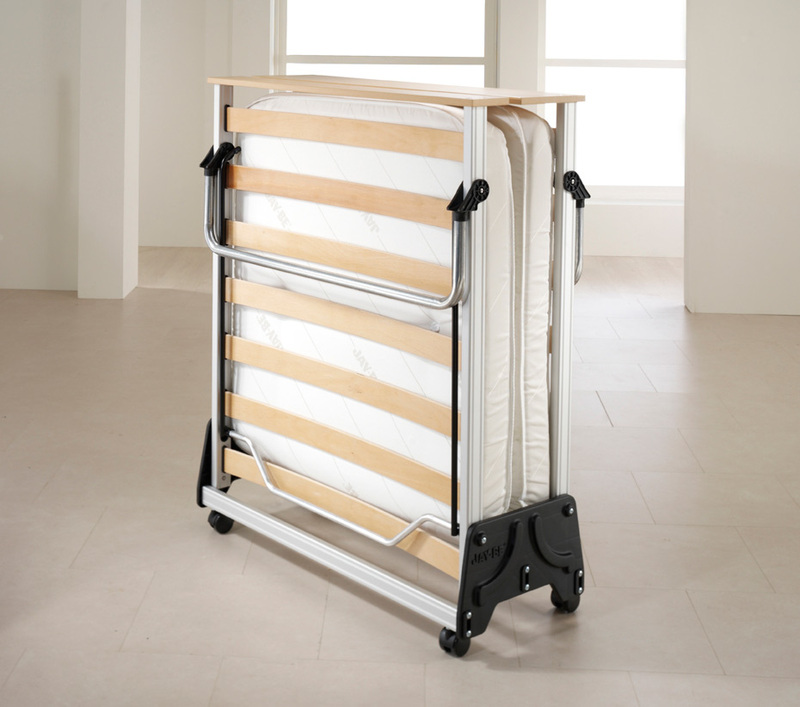 The exclusive J-Lok® folding mechanism enables effortless opening and closing of the bed - one side at a time. Tailored in a high performance fabric for greater durability, the two metre length mattress combines a top layer of soft fibre with a higher density base layer for exceptional support and comfort. This Jay-Be guest bed also achieves higher British, European and North American safety standards than normal domestic beds making it suitable for the extra demands of contract use.